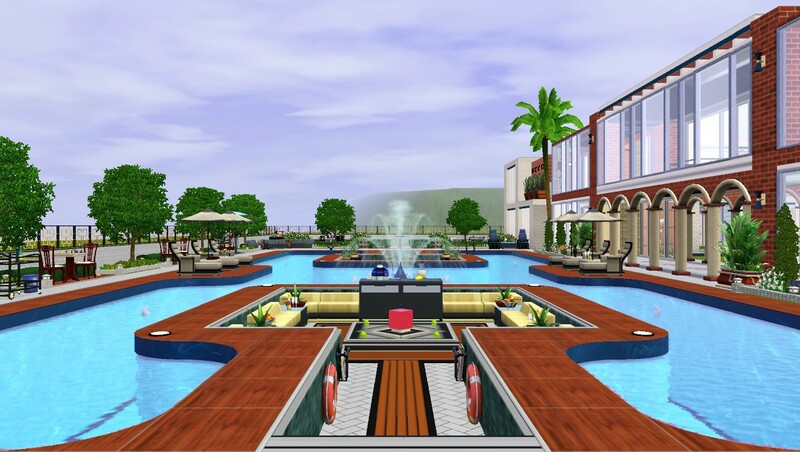 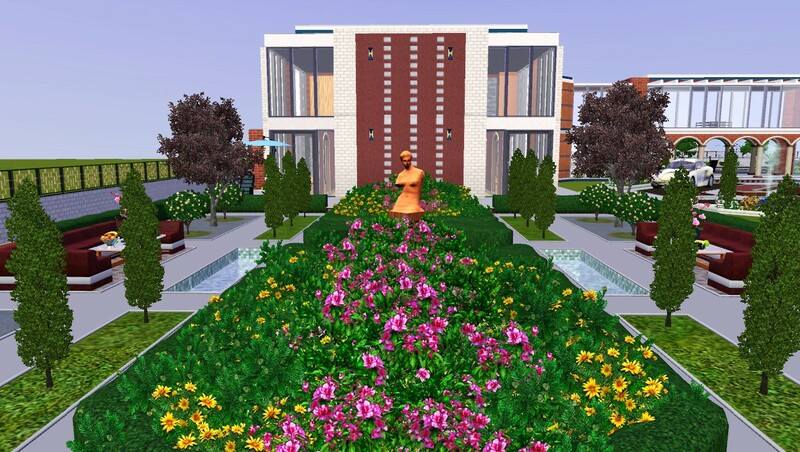 Camdice is a contemporary luxury home equipped with all basic amenities and lots of potentials to suit your Sims lifestyle. 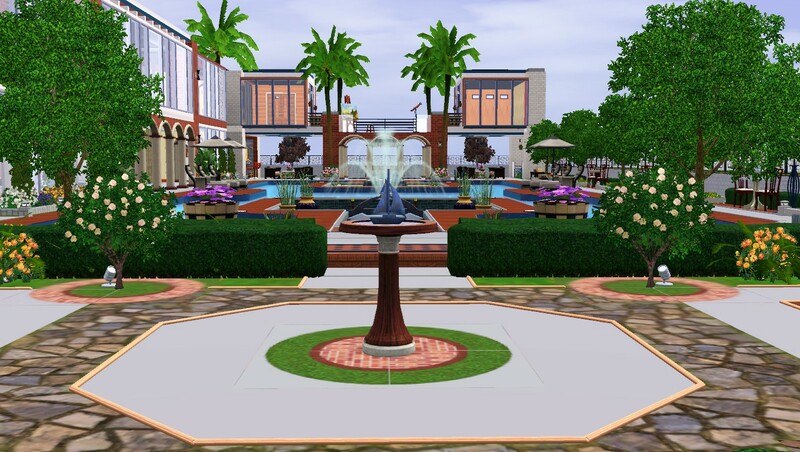 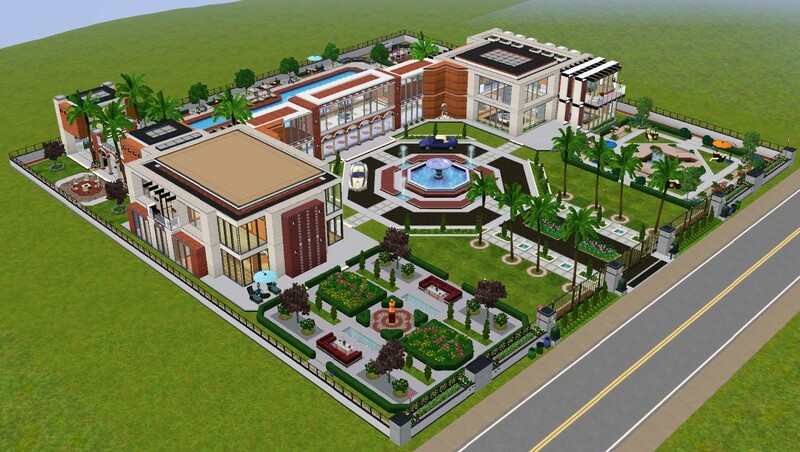 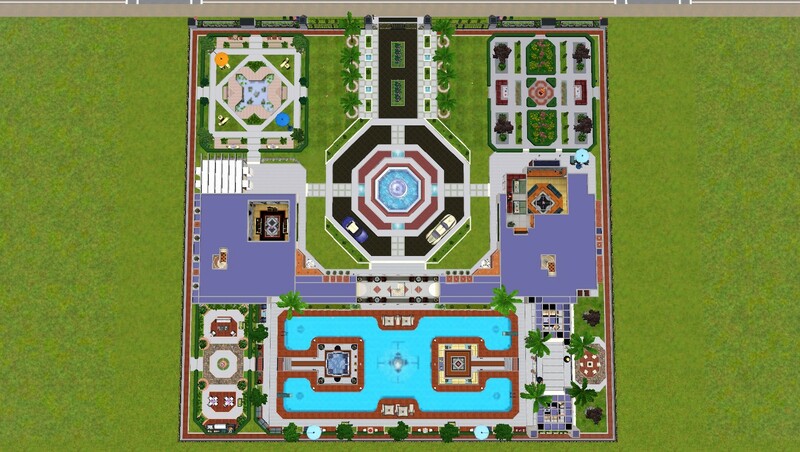 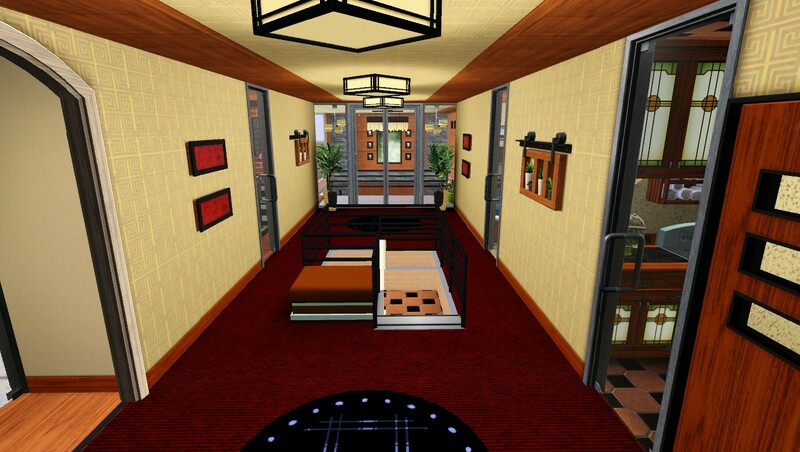 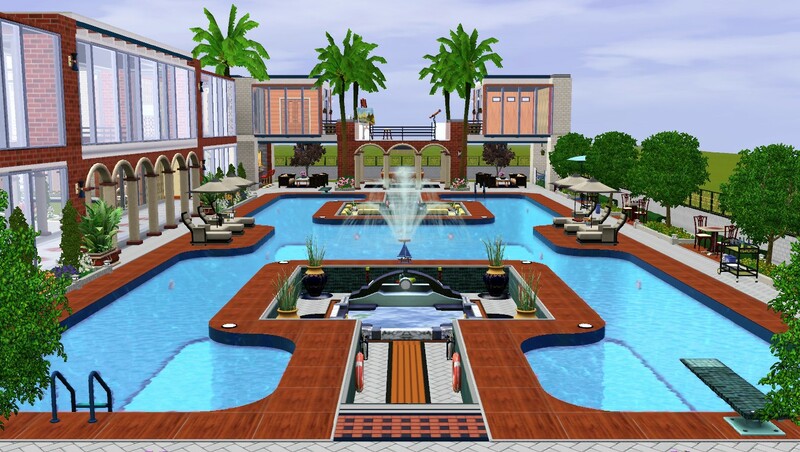 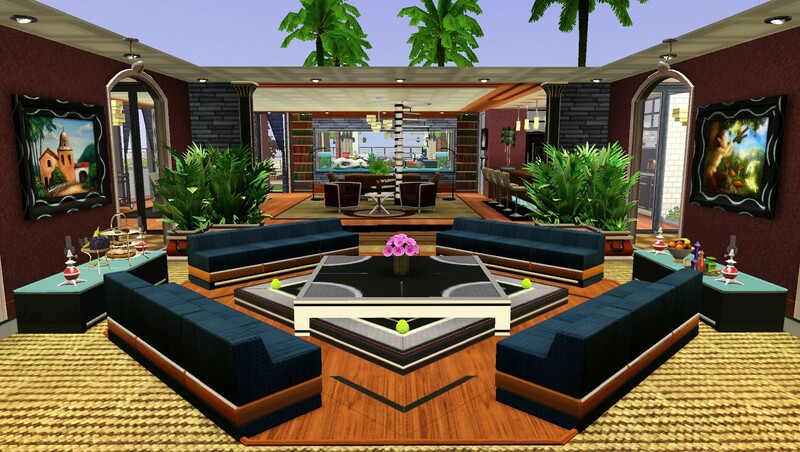 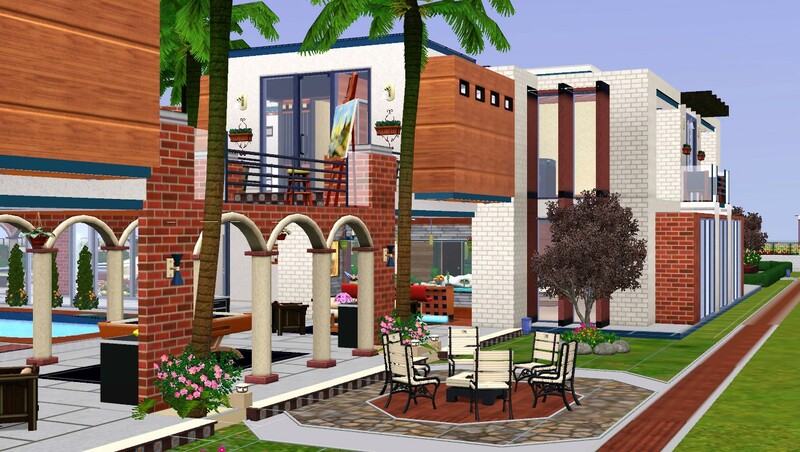 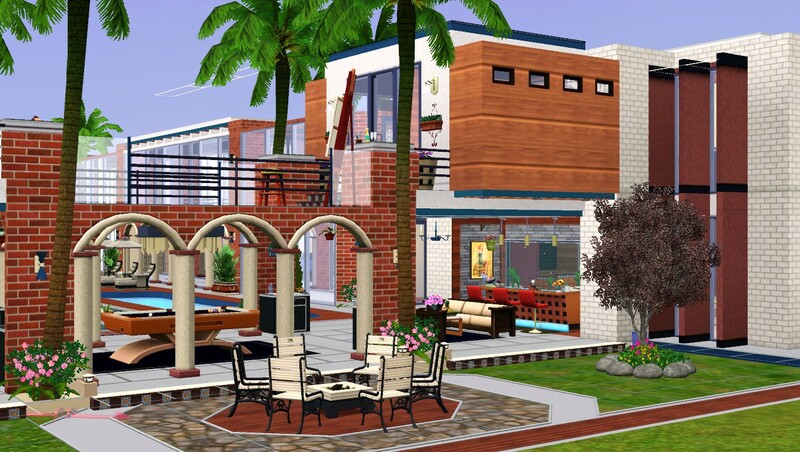 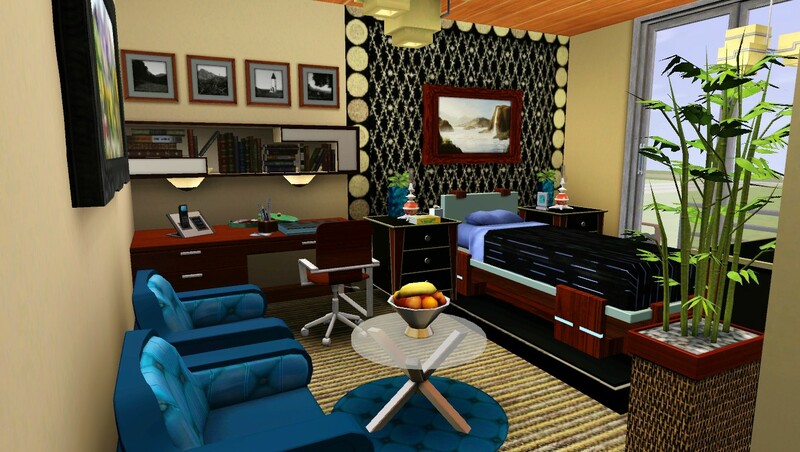 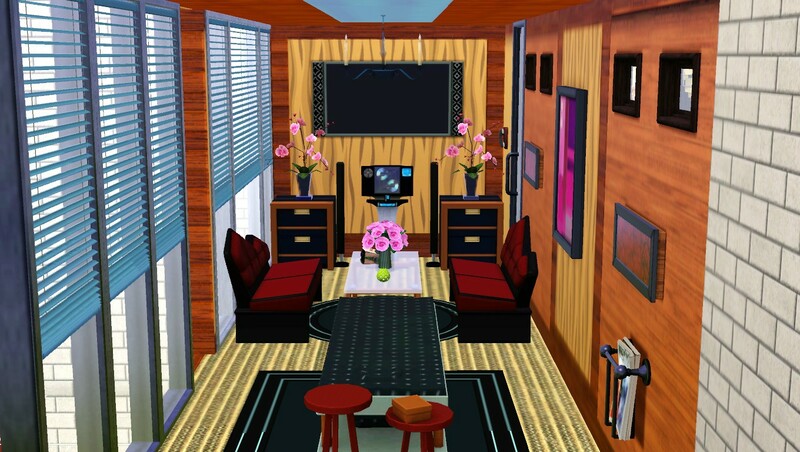 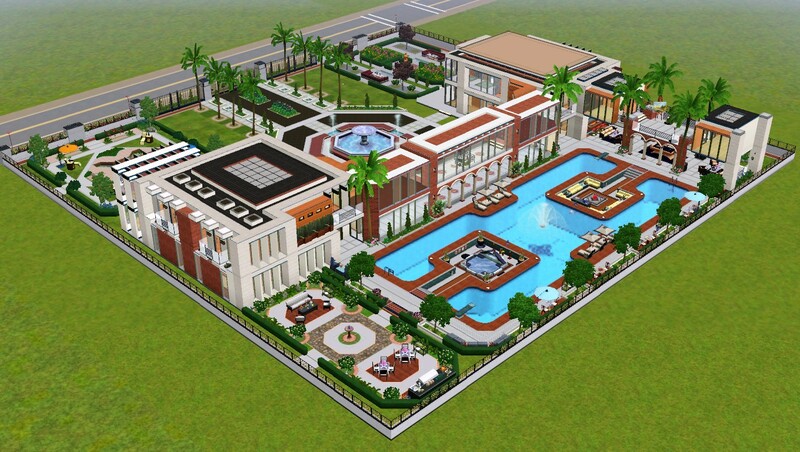 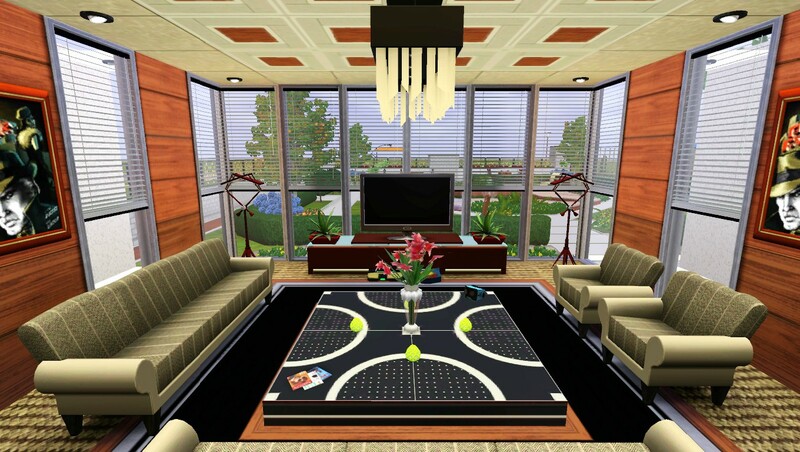 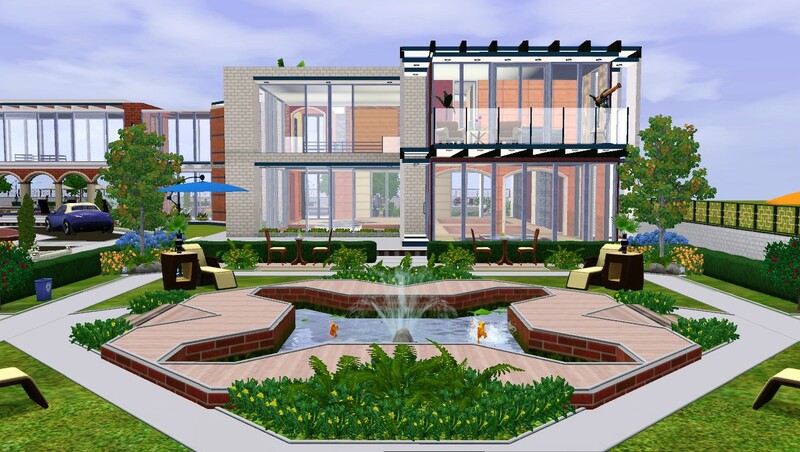 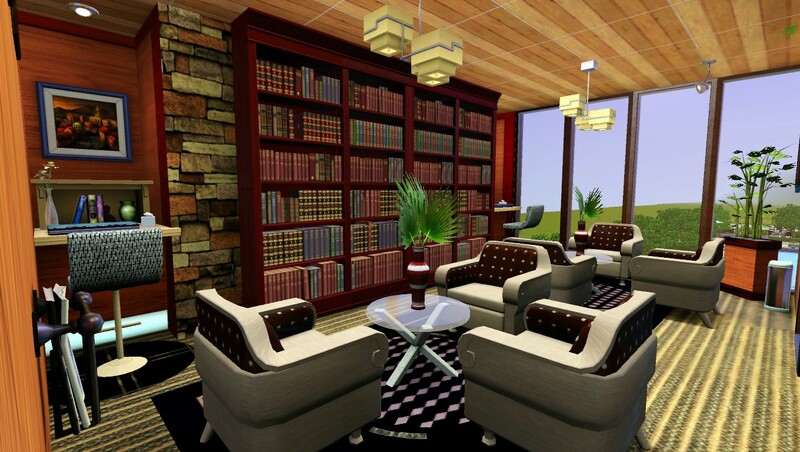 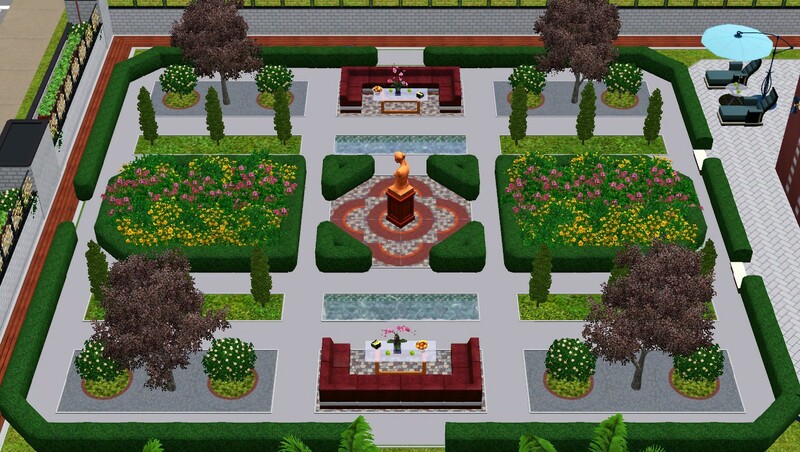 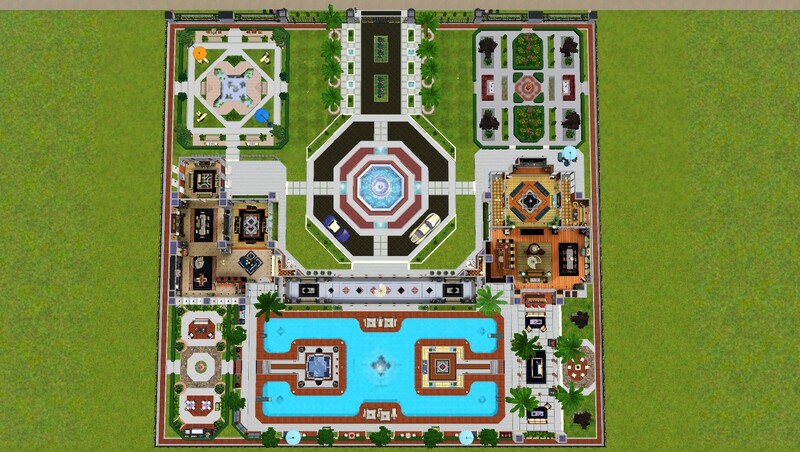 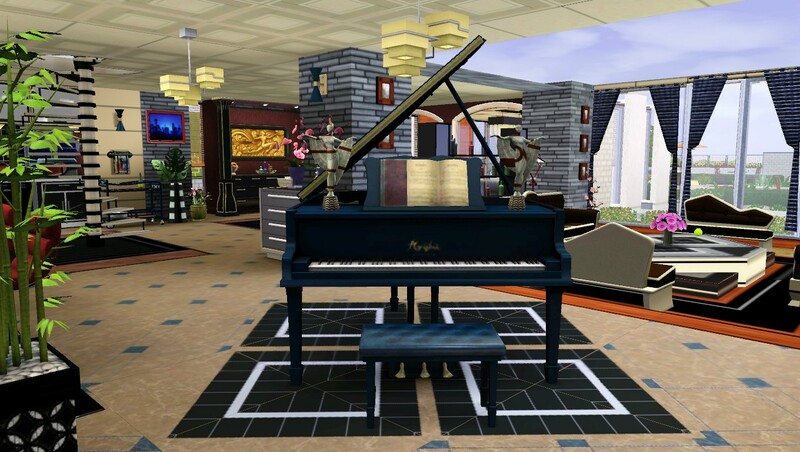 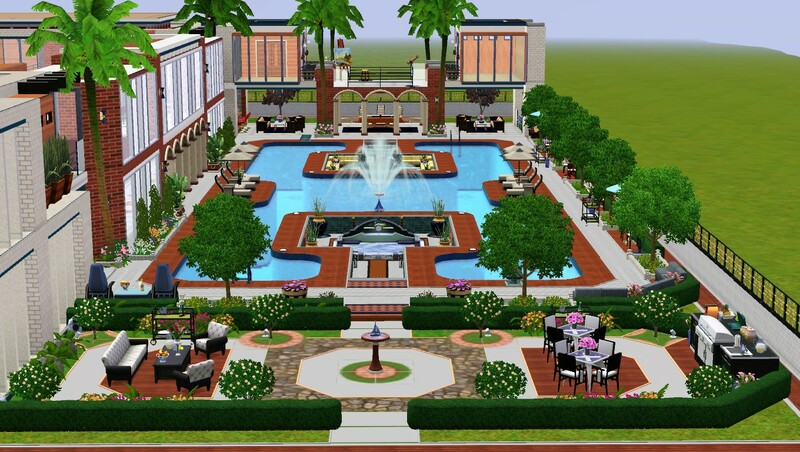 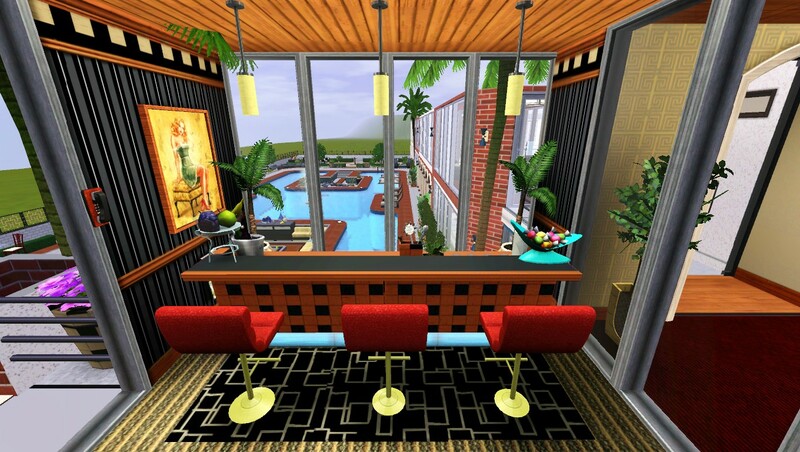 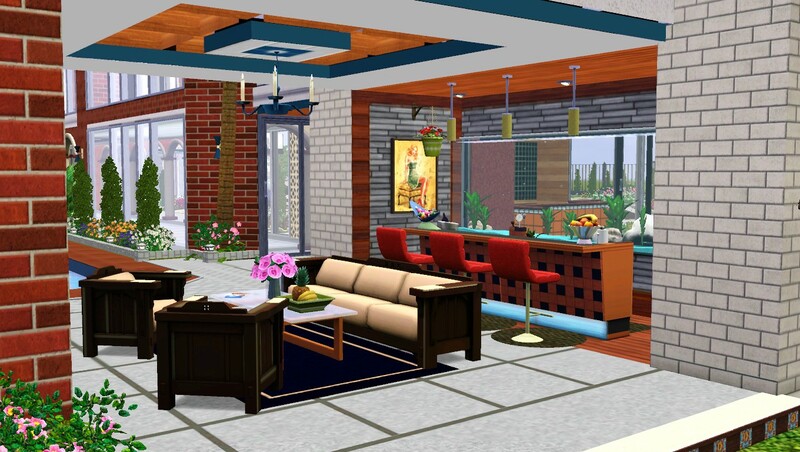 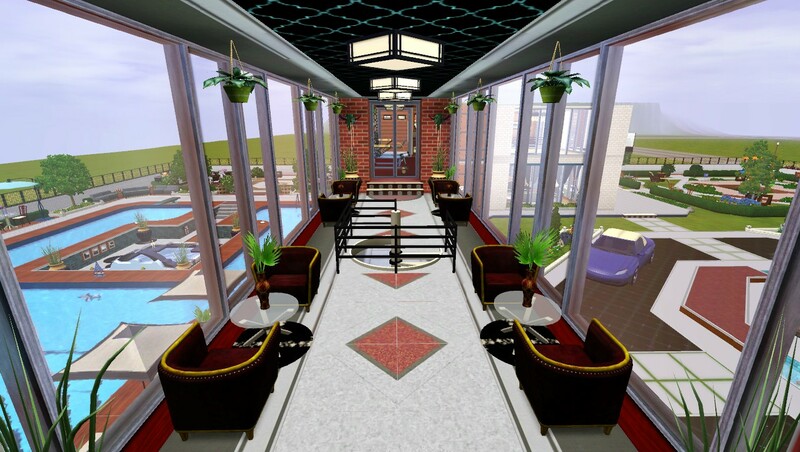 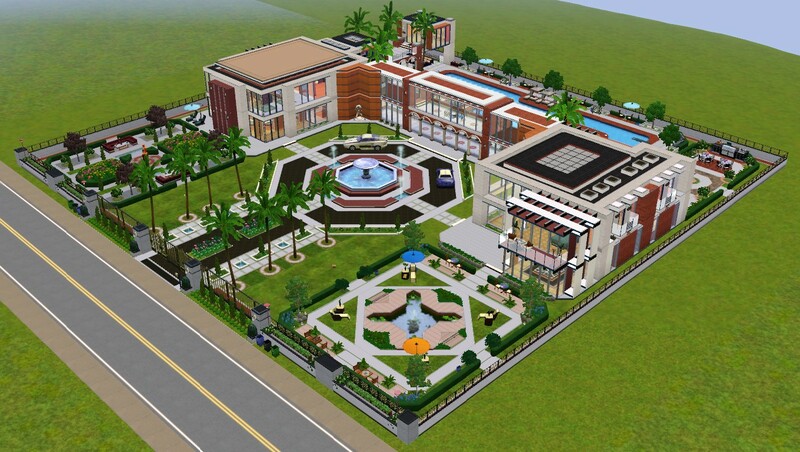 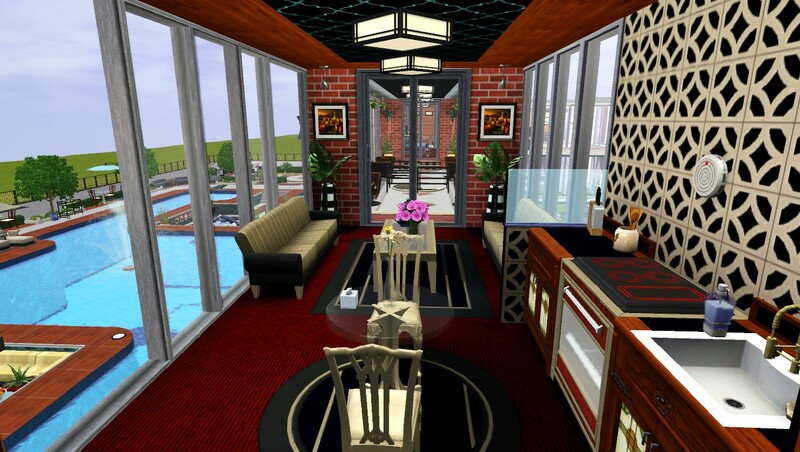 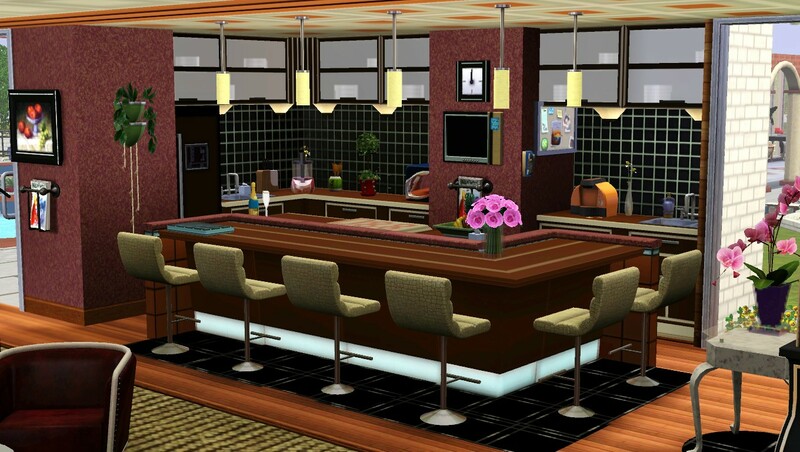 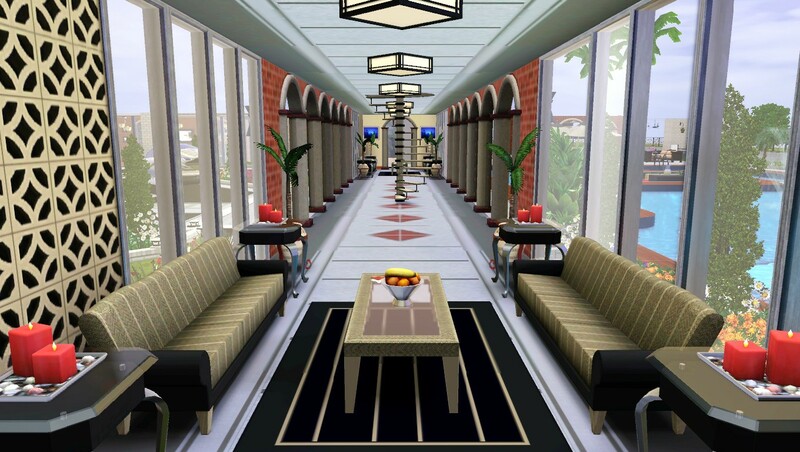 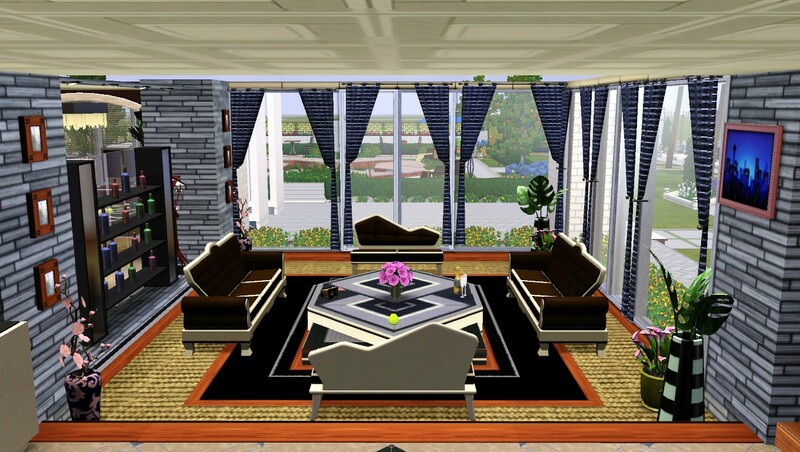 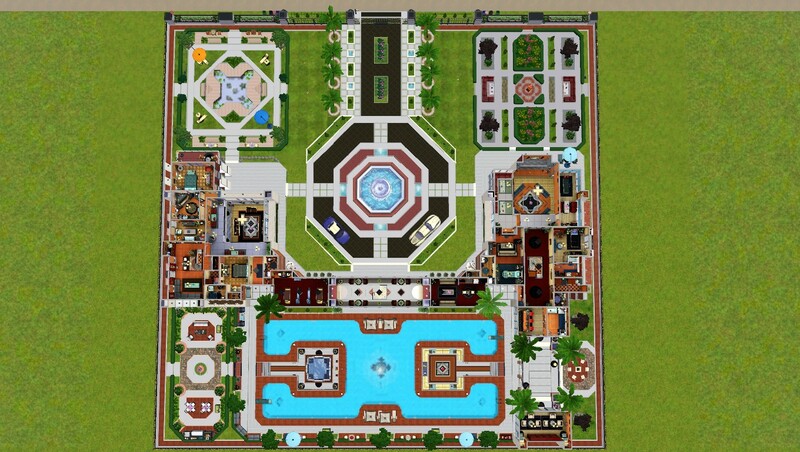 It is designed with a warm and inviting, flexible layout to adapt to changes in your Sims family needs. 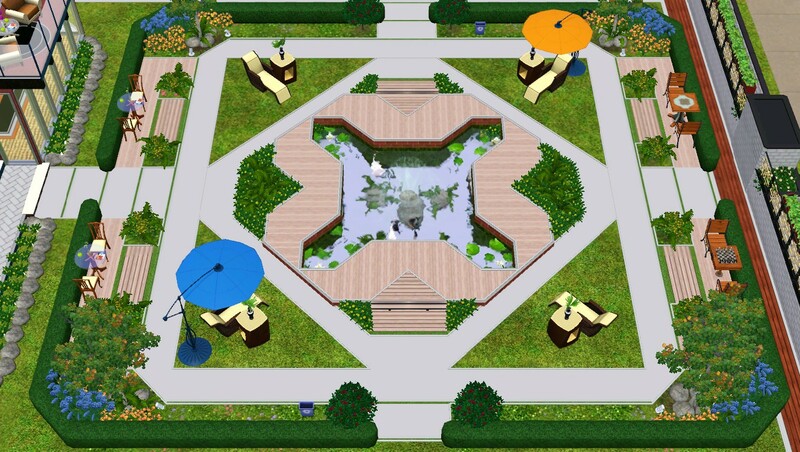 The front yard has a pleasant, charming landscape with two large parks that include a fish pond, outdoor games, sitting and relaxation areas. 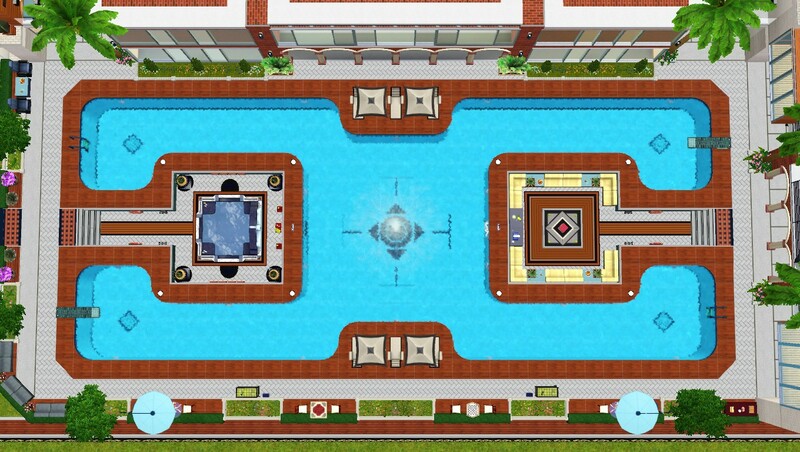 The backyard comprises of a large swimming pool with built-in hot tub and sitting area; ideal for pool parties. 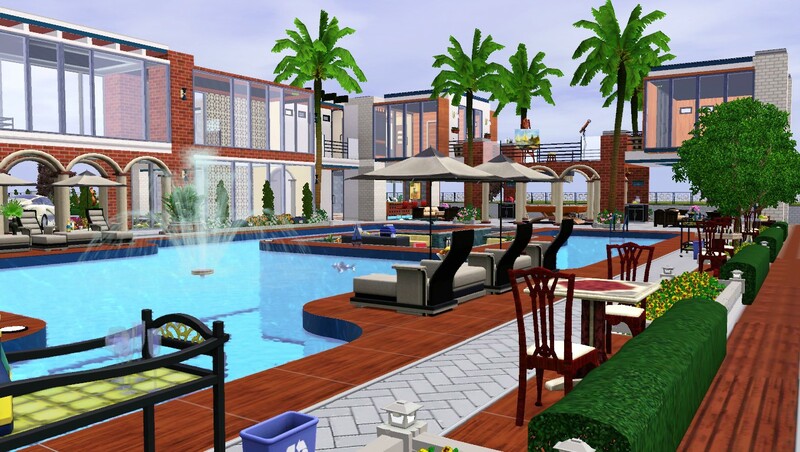 It also offers a fireplace patio, billiard corner with mini bar, foot massage and game corners, large BBQ grill park, and lots of sitting/relaxation areas. 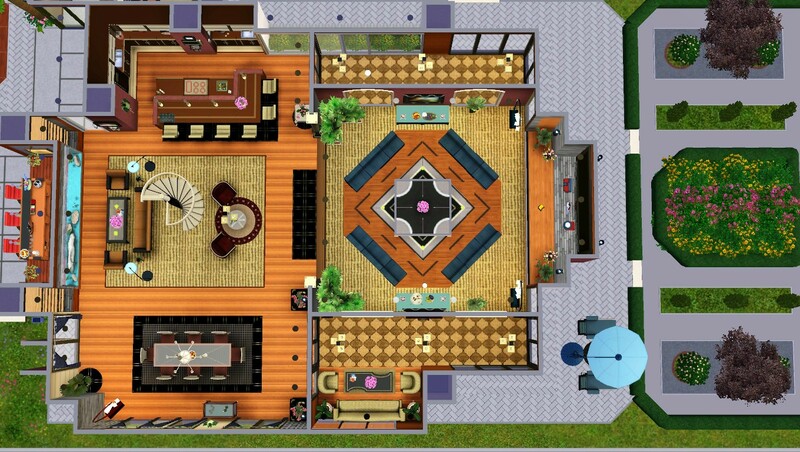 There are four bedrooms on the second level; a master suite and guest room on the right wing and two bedrooms on the left wing. 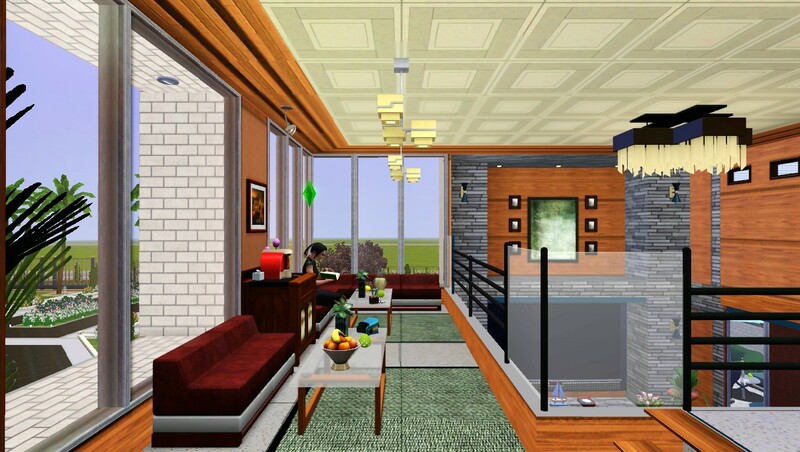 The open floor plan on both wings of the first level offers spacious living and dining areas, kitchen, main bar, and study. 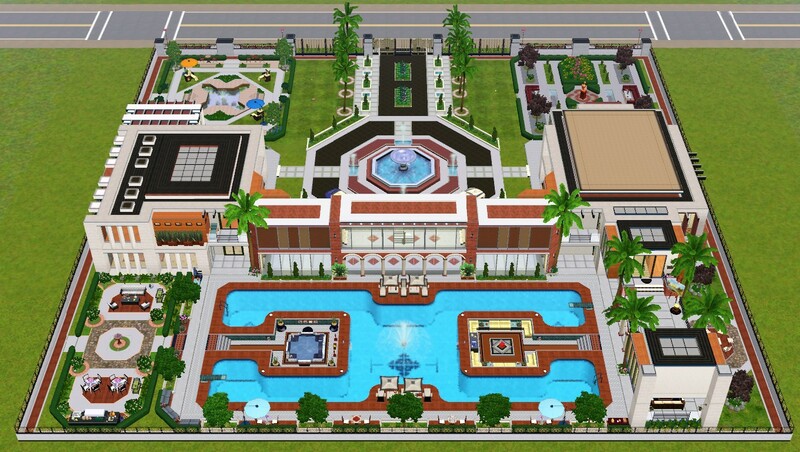 This mansion is ideal as a vacation home where your Sims can retreat in a calm, soothing atmosphere and forget about the burdens of life (at least temporarily). 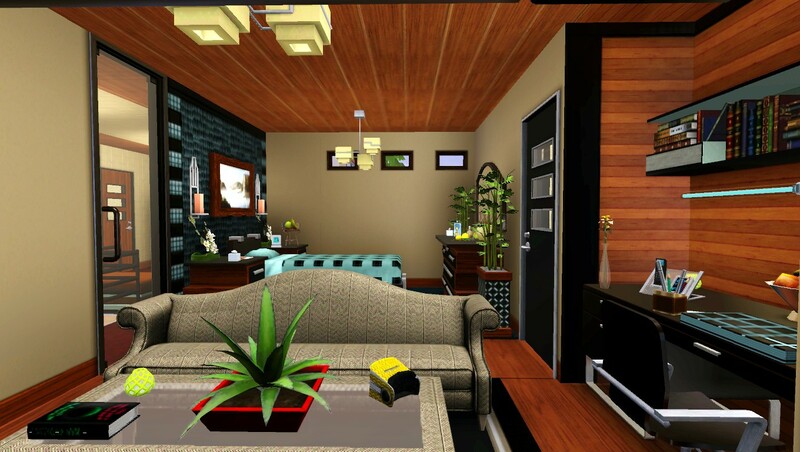 You can also use it as a family home; the choice is yours. 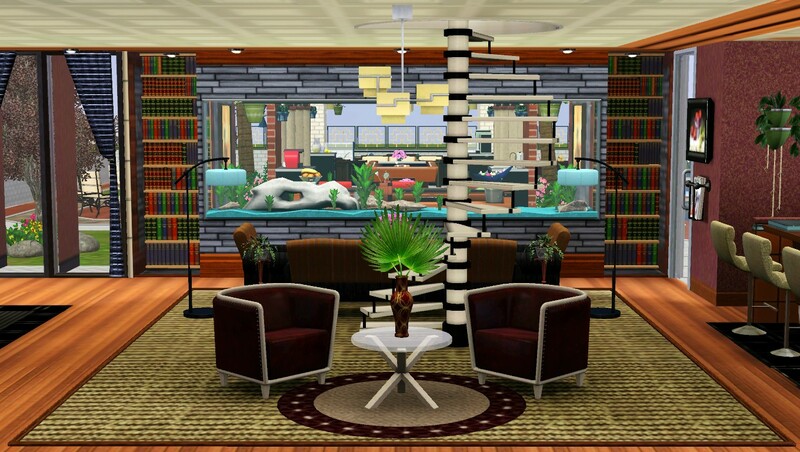 I used standard spiral stairs with no railings from the base game and built-in tables in the living rooms and pool area. 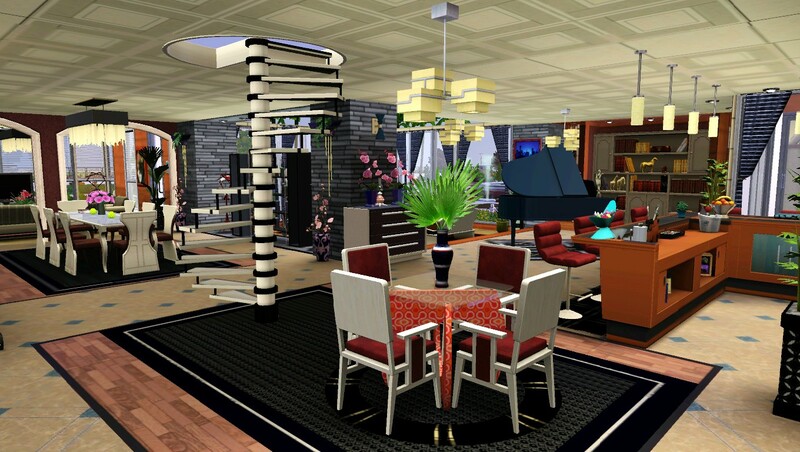 You can download any spiral stairs with curved railings on the web and/or use any movable table of your choice if you plan to modify for your own use. 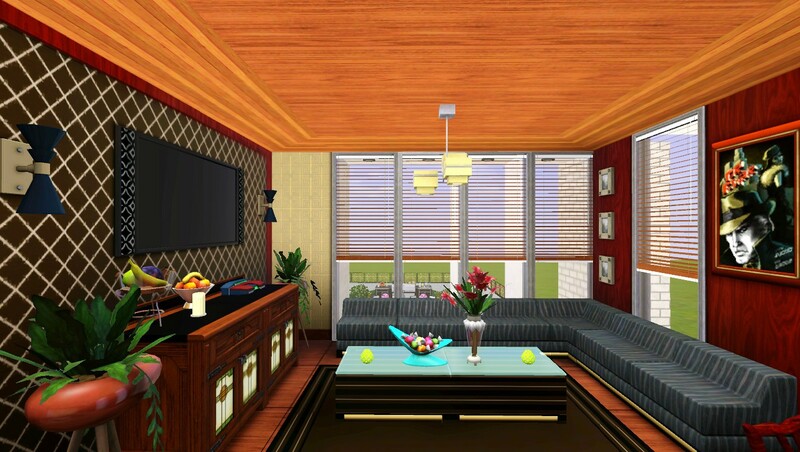 TV - watching TV on the left wing's living room is not possible because I placed it above ground level which suits my design style but I couldn't find any forum/mod addressing this issue (sad). 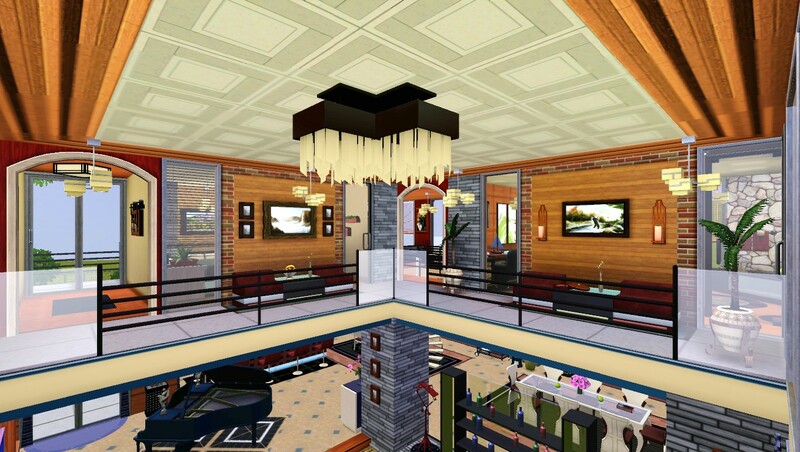 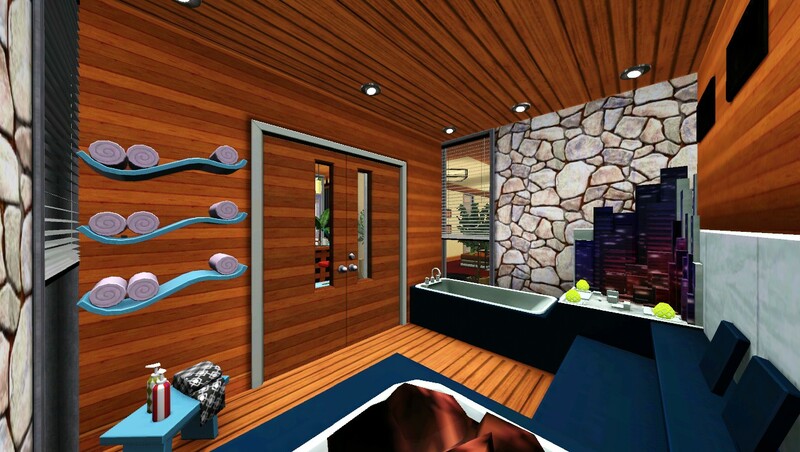 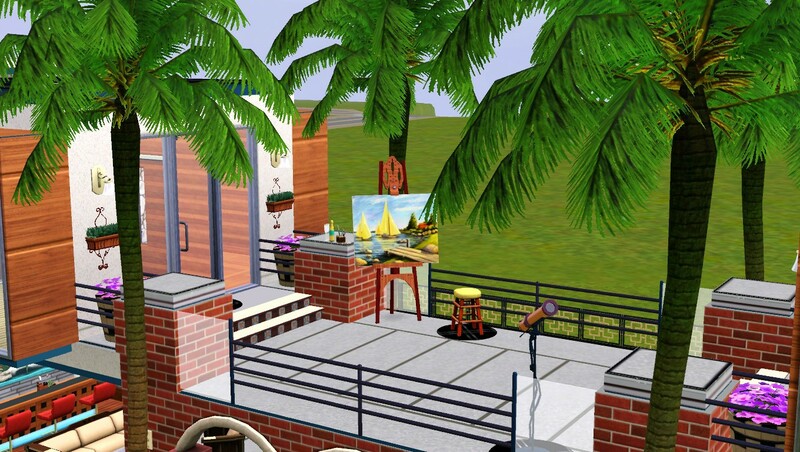 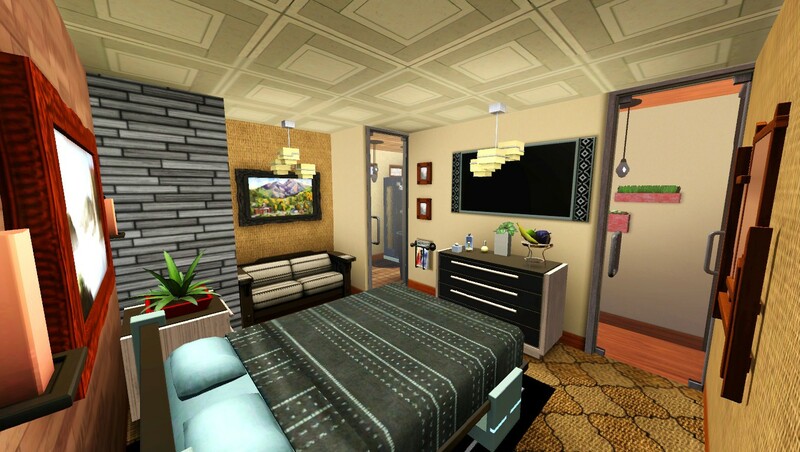 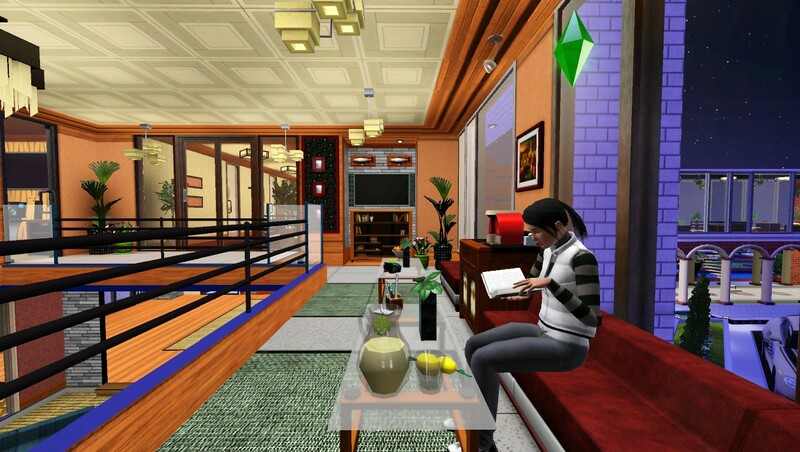 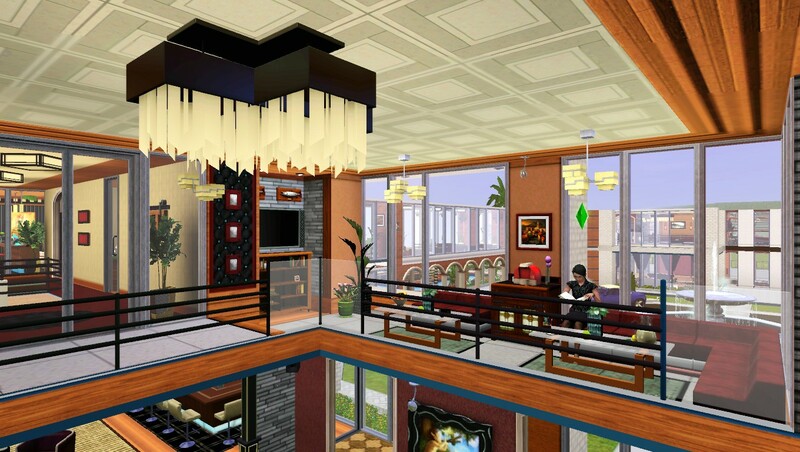 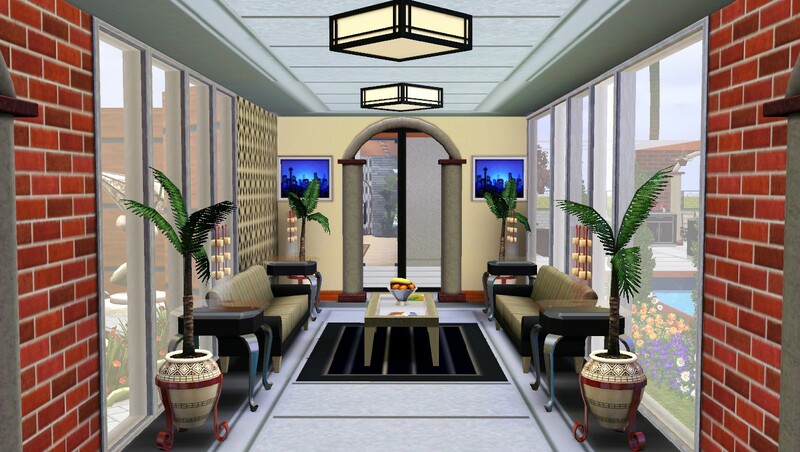 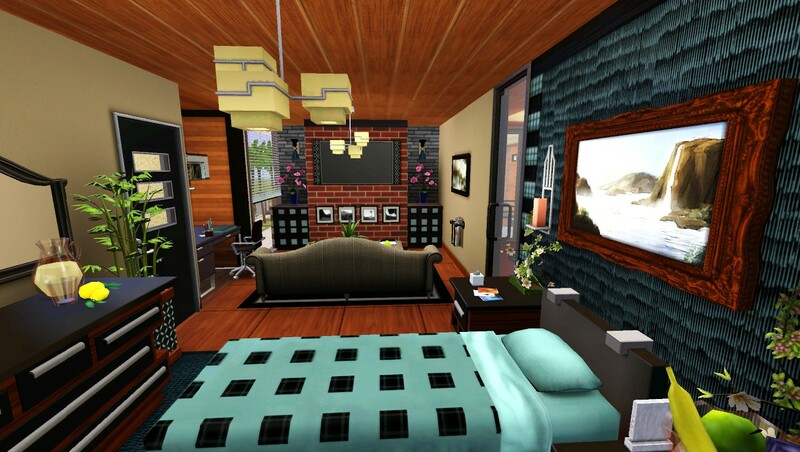 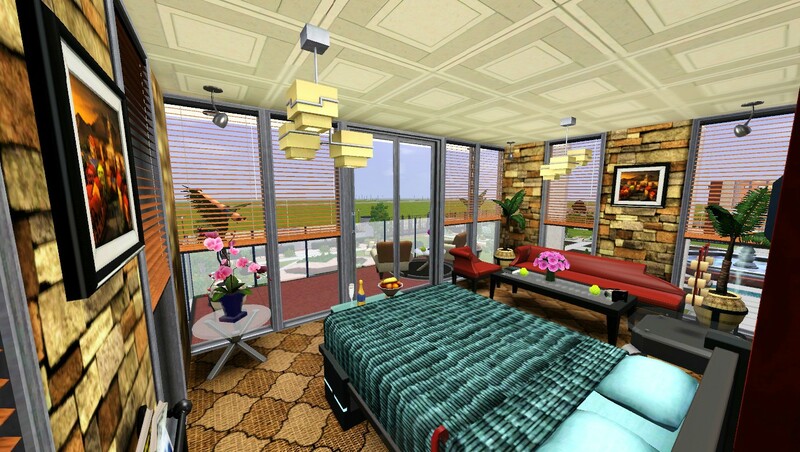 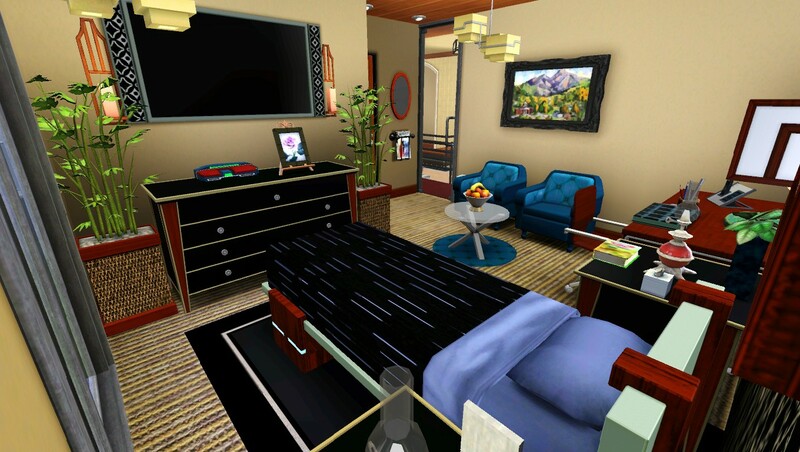 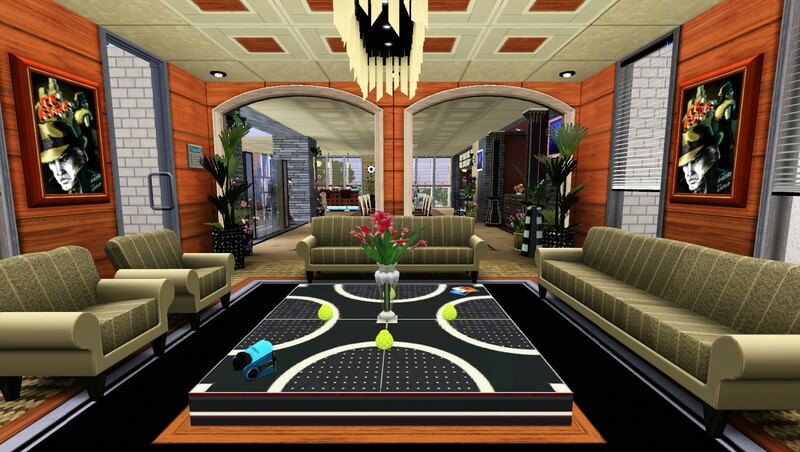 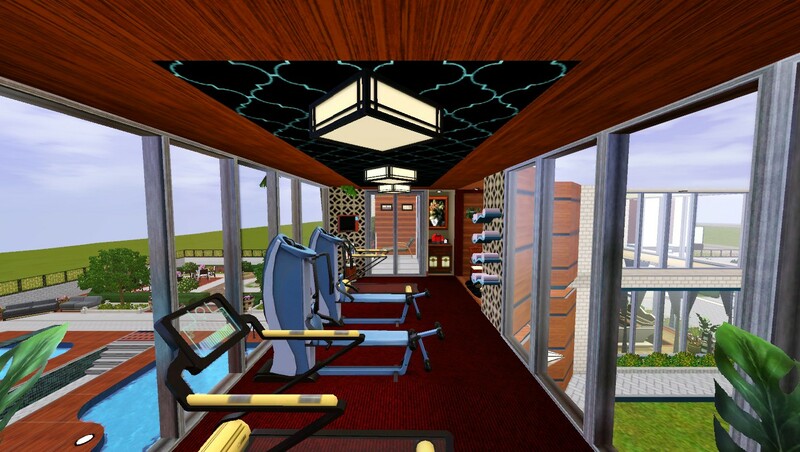 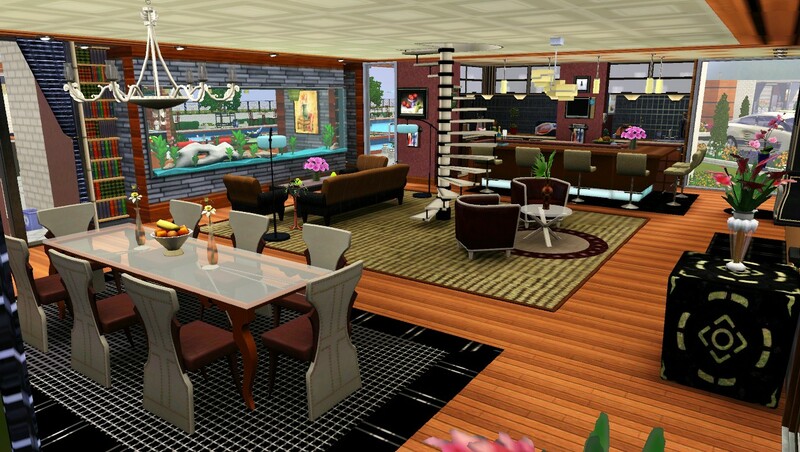 Alternatively, you could decorate the wall to suit your Sims style by placing paintings, mirrors, etc. 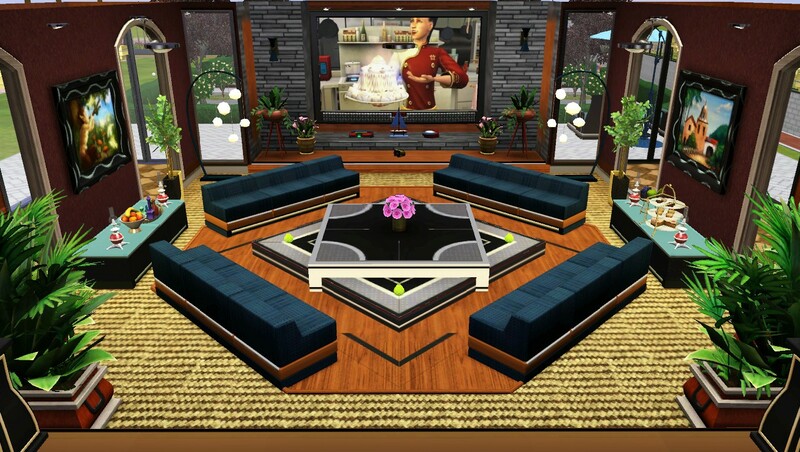 on it or delete the platforms and place the TV on ground level if desired. 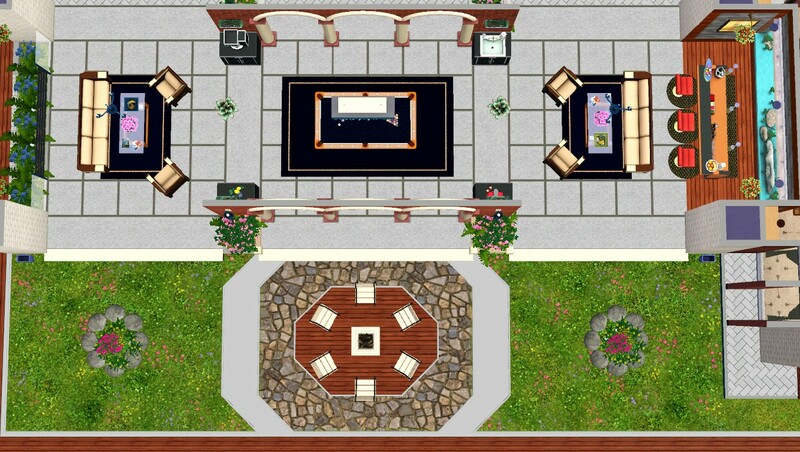 Fish pond - there are two stairs on opposite sides of the pond to help your Sims up the platform otherwise your Sims might refuse to fish. 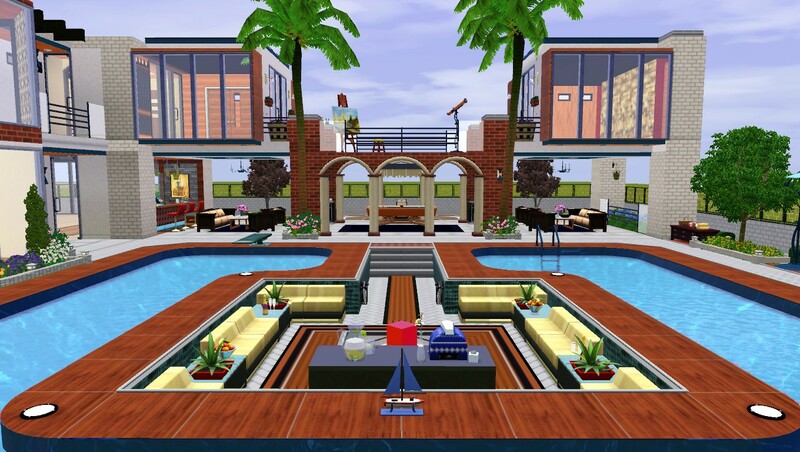 As always, building structures are base game but you will need Late Night, Showtime, 4 SPs, and store contents (buy mode) to make it look exactly the same. 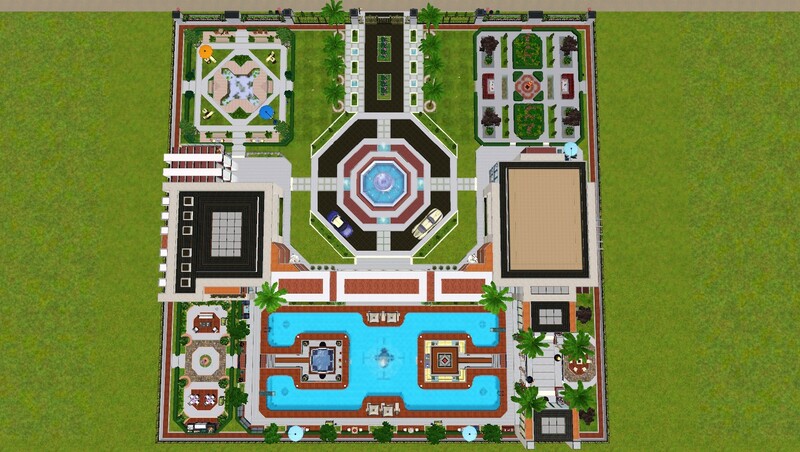 Built with "cfe and move" so place on a flat lot for optimal result. 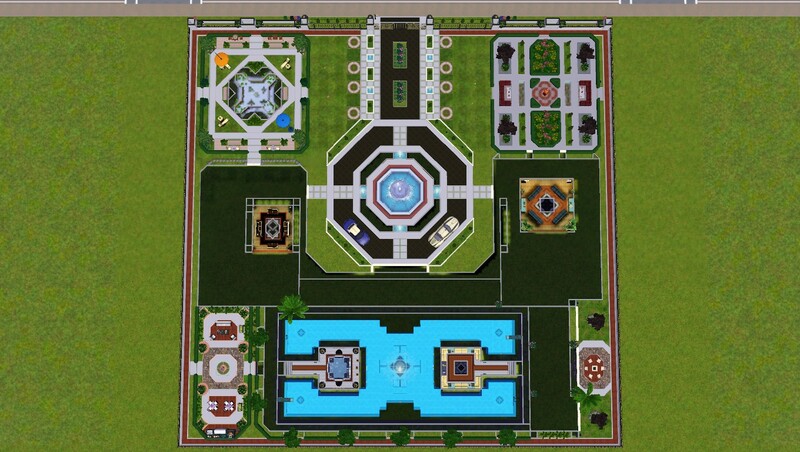 Tested in game. 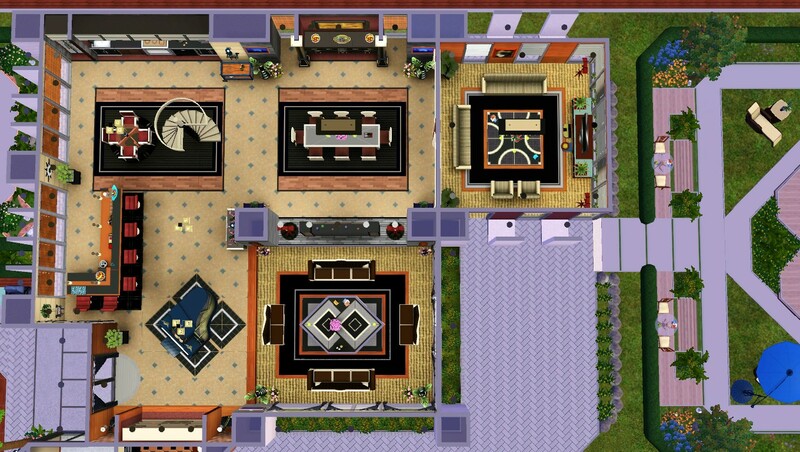 If you encounter any issue, I'd be glad to help. 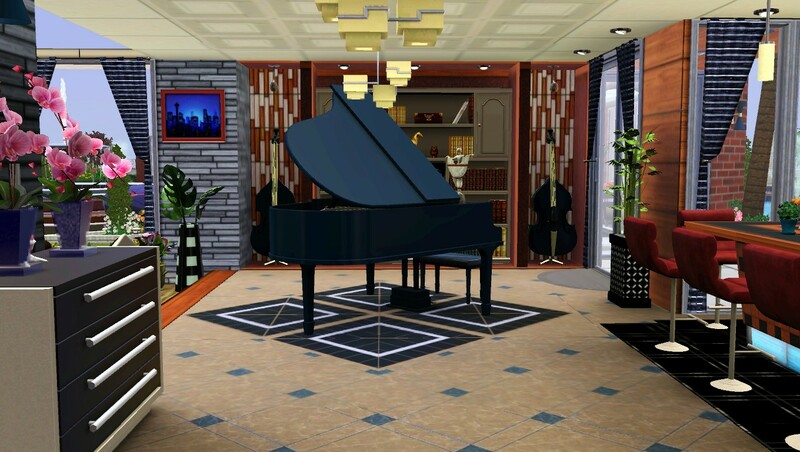 Main bar, grand piano and two bass strings for jam sessions. 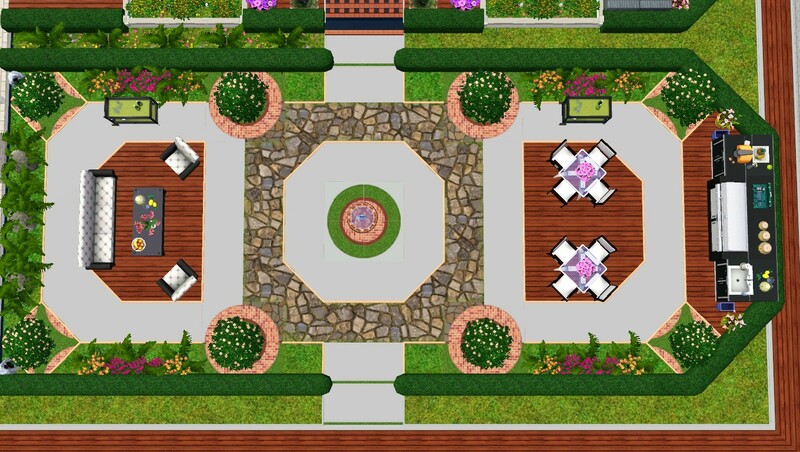 MTS support team for their outstanding work.